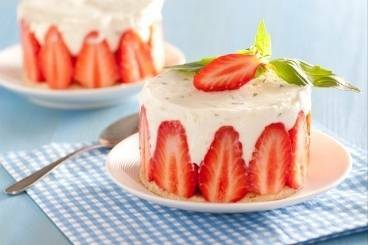 Delicate French patisseries with a creamy pistachio and fresh strawberry filling. 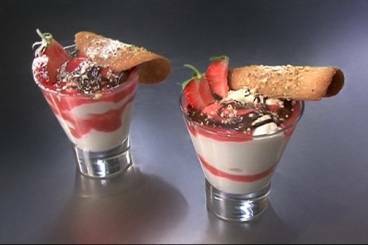 A creamy strawberry fool served with a chocolate drizzle and a crisp hazelnut tuile. 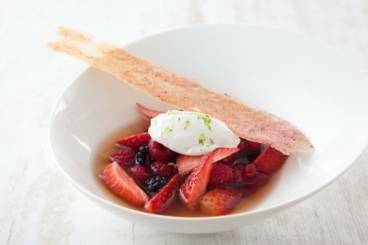 Strawberries and raspberries marinated in a tea scented syrup served with a quenelle of white chocolate and lime mousse and finished with a strawberry tuile. 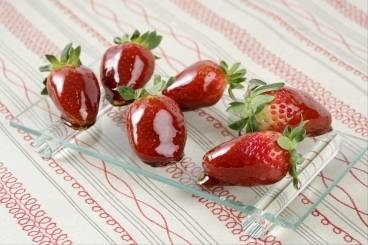 Fresh strawberries dipped in a golden sugar syrup.